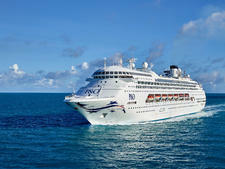 P&O Cruises' first Grand Class ship, Pacific Adventure, is set to join the cruise line in October 2020. 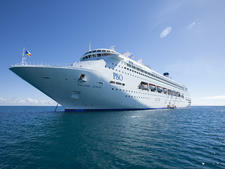 Currently sailing as Princess Cruises' Golden Princess, it will be P&O's biggest and youngest ship. The 108,865-tonne Pacific Adventure, originally built in 2001, will carry 3,100 passengers who can chose from the fleet's first five-berth family cabins, 560 balcony rooms, 230 suites and mini suites. Following the contemporary design of sister ship Pacific Explorer, the ship is expected to be transformed with popular P&O features such as the Blue Room live music venue, the adults-only Oasis retreat and restaurants created by Australian chefs Luke Mangan and Johnny Di Francesco. A new addition is the Byron Beach Club, an exclusive retreat available to passengers booked in suites and mini suites. The private area on the top deck will have an outdoor pool, spas and comfortable lounges to chill out with sea views. In addition, a private dining concierge service will give these passengers priority reservations at all of the ship's dining outlets including new concepts from Australian chefs Luke Mangan and Johnny Di Francesco. 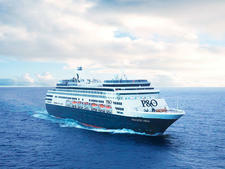 The inaugural cruise is an 18-night sailing from Singapore calling at Penang, Langkawi, Darwin, Cairns, Airlie Beach and Brisbane before arriving in Sydney. 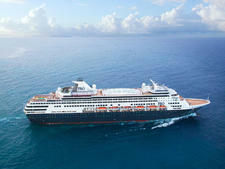 Once it is based in Sydney, the first round-trip voyage is a six-night sailing to the Melbourne Cup, departing October 31, 2020. 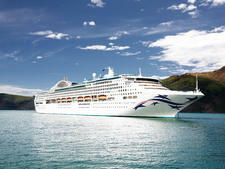 Other itineraries include destinations in Fiji, Papua New Guinea, Moreton Island and New Zealand.